For multiple cat owners, this duplex cat house is a perfect fit. 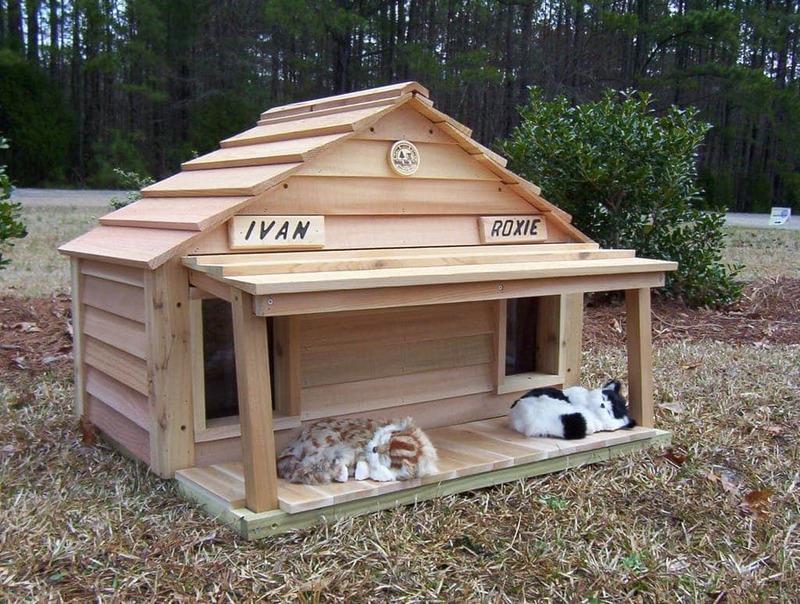 It houses two cats comfortably, but for average sized cats, it can accommodate up to four. The duplex house has a slide in center partition that can easily be removed. Heavy duty vinyl flap doors are included. 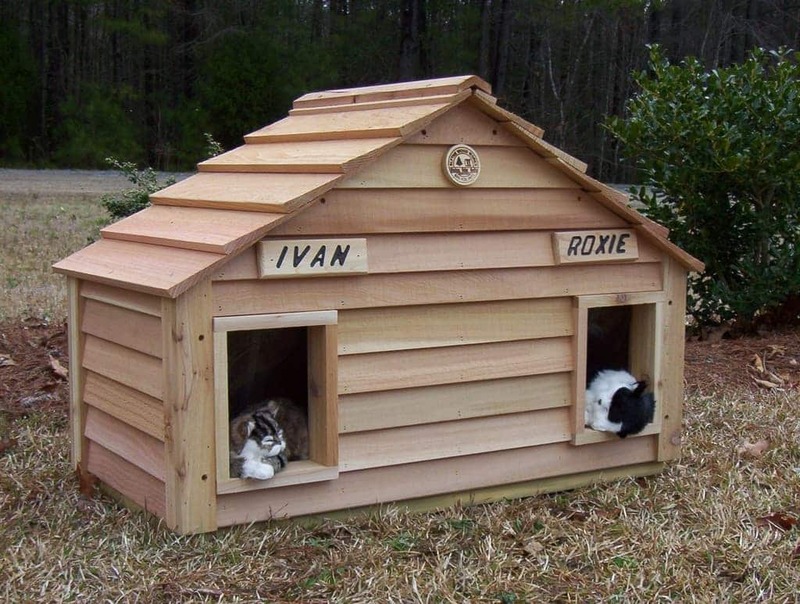 House pictured includes optional name plates. For multiple cat owners, this duplex cat house is a perfect fit. Not only will it house two cats comfortably, (and for average size cats, it will accommodate up to four). Each cat house comes with heavy duty vinyl flap doors, installed. The duplex house has a slide in center partition that can easily be removed if so desired. Each house comes with vinyl doors. 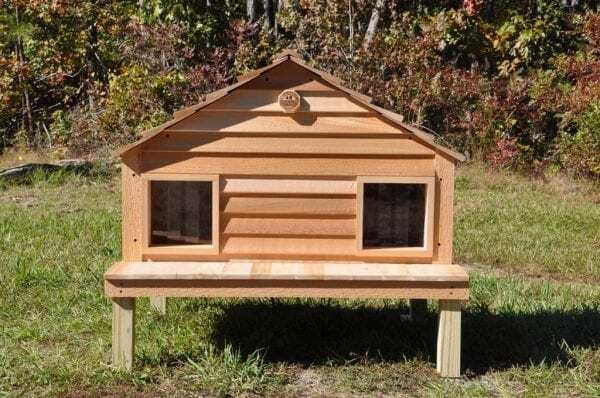 The 20″ cat duplex house offers a full line of options that make it possible for you to custom design a cat abode to best suit your cat’s needs and your taste. 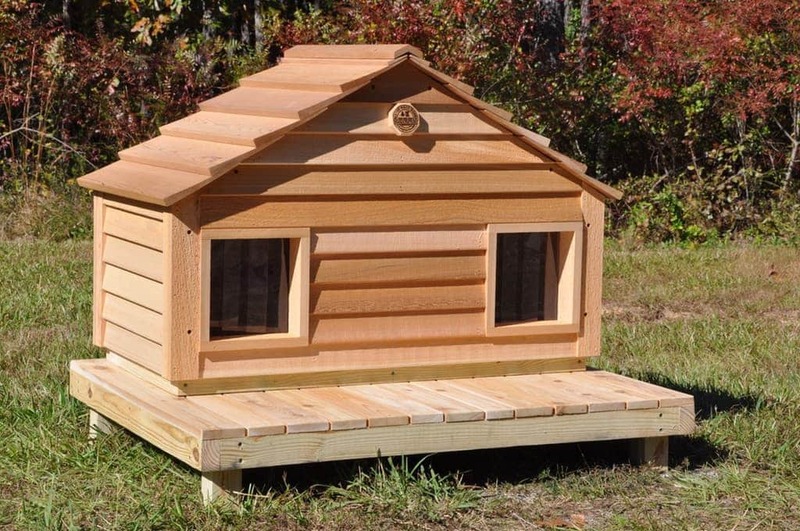 “Peek-a-boo” Clean out door, raised foundations, platforms, porch and deck systems, heat pads, and thermostatically controlled electric heat units are same as the options available for our western red cedar cat duplex. 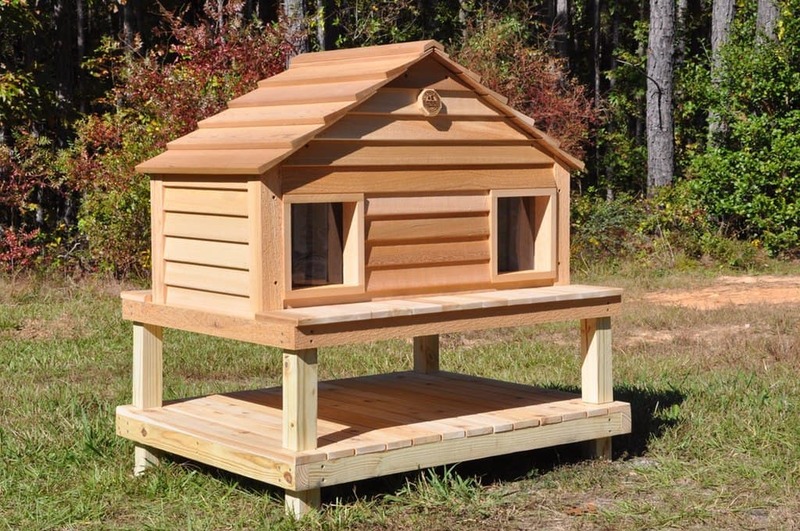 If you think it looks good in the picture…wait until you see it in your back yard!